Think looking at food and watching cooking shows is just innocent fun—that it’s a hobby far healthier than actually shoving real food into your face? Think again. 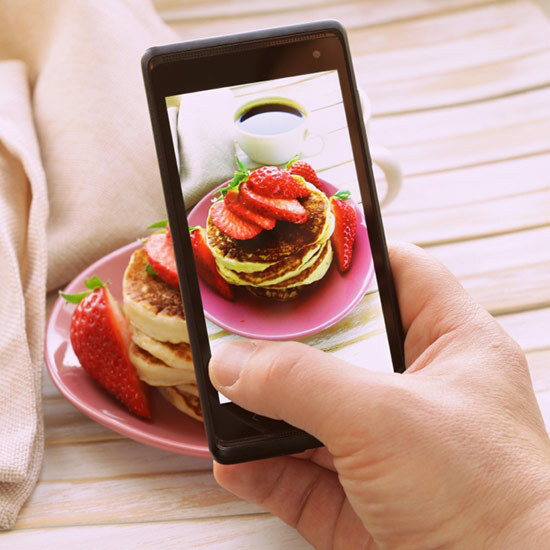 A new study entitled “Eating with our eyes: From visual hunger to digital satiation” suggests that our addiction to seeing food in all its glory could be adding to our obesity problem. In the end, the authors seem to hope their paper will at least start a conversation around how seeing food is related to eating food, especially in our modern technological world. “Given the essential role that food plays in helping us to live long and healthy lives, one of the key challenges outlined here concerns the extent to which our food-seeking sensory systems/biology…are capable of adapting to a rapidly-changing (sometimes abundant) food landscape,” they write. It’s all part of my new diet plan: Clear out the DVR and shut down your Instagram account.